I wanted to end the week with these paintings by Abbott Fuller Graves. The artist was masterful at capturing the quality of brilliant sunlight. I especially love the above painting with all the hollyhocks and how the light shining through the flower petals creates a dappled effect of intense color and highlight. And this second painting with a view of roses in a back garden and a cat perched high on the lean-to shed is magical, I feel like I have been taken away to another time and place. Somewhere I have never been but at the same time I feel as if it could be my home. I hope you have a magical weekend filled with sunny vistas and cheerful scenes. For today's inspiration I want to share an extraordinary still-life artist, Laura Coombs Hills. I think her work speaks for itself, however I found this quote to be an apt description of her work. In the November 23rd, 1939 Boston Herald an editorial stated: “Somehow she manages to bring dancing sunlight and vibrant atmosphere within the four walls and to soak her flowers in it." So true, her work just sizzles with the warm glow of sunshine. Her career as a floral still-life artist started after a successful career as a miniture portaitist, and was very successful with having annual exhibitions that were well attended. 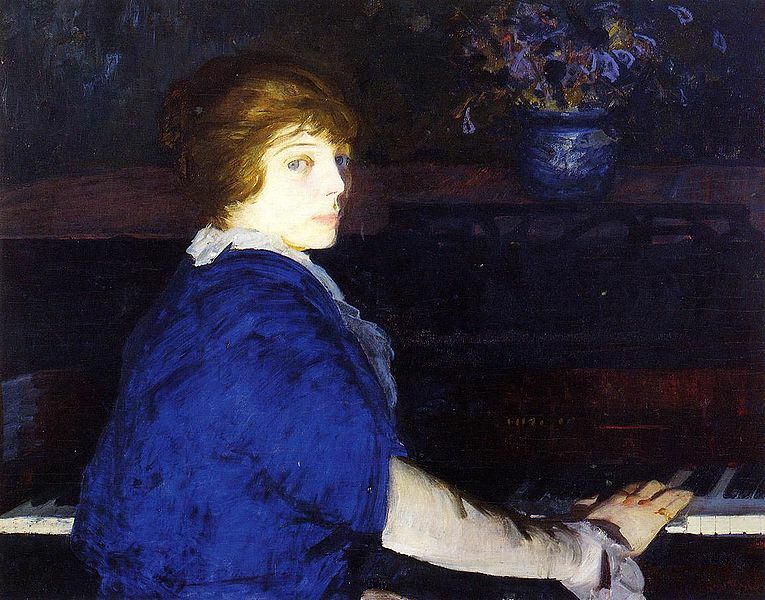 If you are interested in reading more about her life and art check out this link to a catalog preview, it has some great introductory essays. 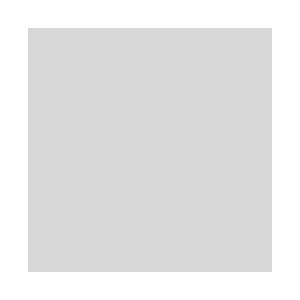 And here is a link to exhibition catalogues available for sale. Pastel, 10 5/8" x 11 3/8"
Pastel on Paper,14 x 12 in. Several years ago, like close to seven, I read Full Bloom,a wonderful biography about Georgia O'Keeffe. For several months after finishing the book I was mesmerized by how prolific, how dedicated, and how determined she was to become an accomplished artist. 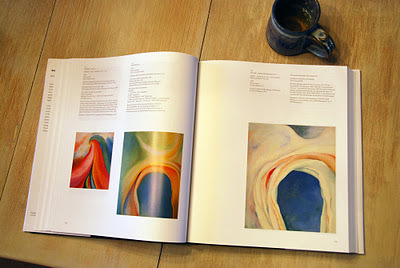 Then in 2010 the Phillips Collection had a wonderful exhibition that focused on her abstractions. Again I came away from the experience of seeing the exhibit with awe and wonder. 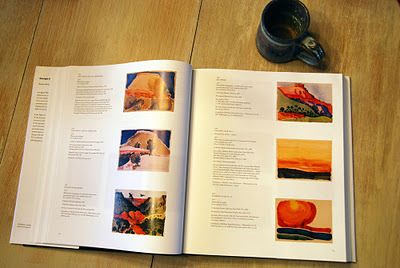 Sometimes I will flip through the pages of these books to get ideas and to learn a bit more about compositional design. 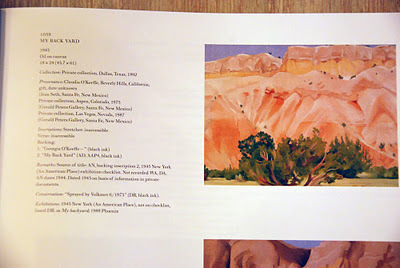 And when I am really stumped about coming up with some painting ideas I will flip through the catalogue raisonne of Georgia O'Keeffe's works. Here are a few spreads I photographed to share with you today. "I found I could say things with color and shapes that I couldn't say any other way - things I had no words for. " The last quote is my favorite, and really sums up the drive of why I paint, the journey of art making is the most important. 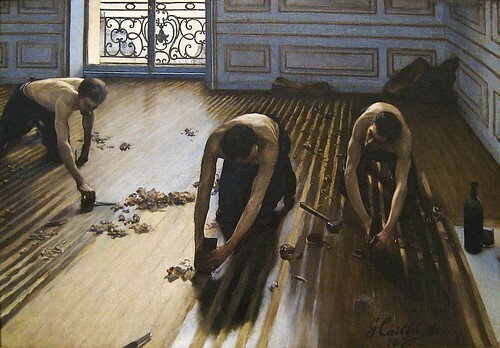 Today while going through this week's Economist issue I read an article in the Books and Arts section about an exhibit in Paris on Gustave Caillebotte's paintings and his brother's photography. 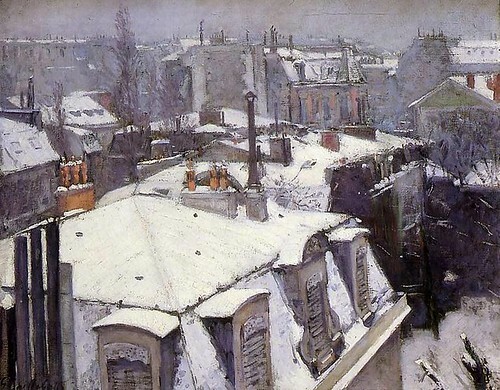 This article got me thinking about his paintings and how much I like his work. There is something quiet and thoughtful in his compositions, how he organizes the picture frame and uses perspective to guide the viewers eye. I also admire his use of color and tone. 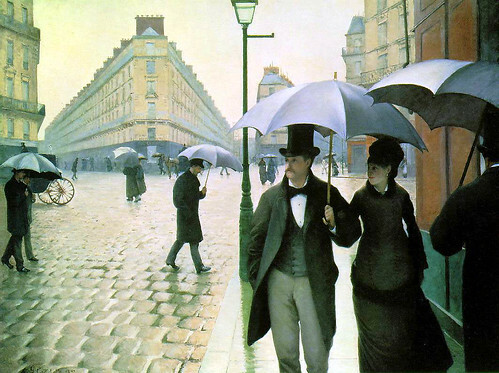 I feel that some of his most influential paintings are the ones that are predominantly made up of grays and earth tones, with only the slightest hints of saturated color. 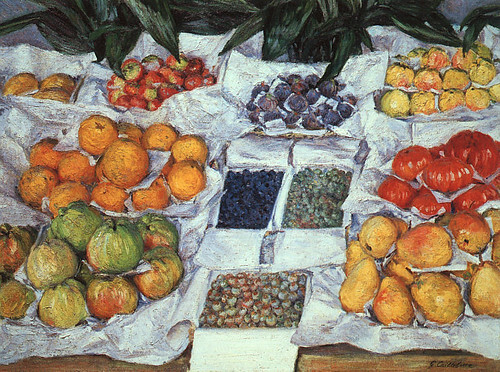 However proficient he was with using muted colors and values to present a sense of space, Caillebotte was also an Impressionist in how he could also use vivid color, such as his painting of a fruit stand. 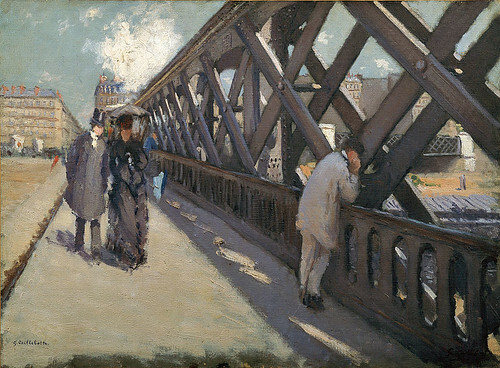 And the Art Institute of Chicago has Paris Street; Rainy Day in their collection and seeing this painting in person was the highlight of my visit to Chicago several years ago!